Four years ago the couple decided to reduce milking frequency on their farm from twice to once a day. Before making a decision they sought advice and data from a range of sources, including DairyBase – the dairy industry’s financial analysis tool. “For a number of years we had used once-a-day at both ends of the season,” says Eileen. DairyBase offers two types of benchmarking – the business’s financial performance and the farm’s physical aspects – and compares them to industry standards or targets. Both set out farm information in a standard way to make comparisons easy. The standardised information has helped the Walkers show progress. While there have been challenges, they are happy with their decision and are now the ones offering advice on milking once- a-day. The Walkers moved to Southland from the Kapiti Coast 16 years ago, and converted land, with an equity partner, into a 388ha dairy farm. 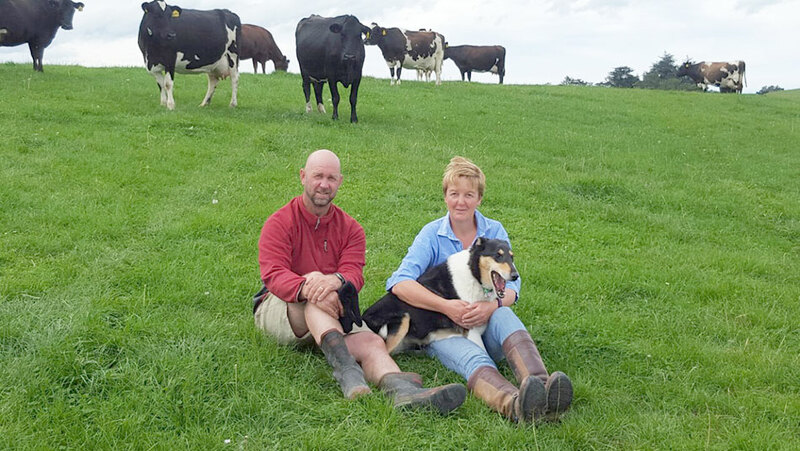 The couple are numbers focussed and were early adopters of DairyBase when it was created more than 10 years ago. “We used it mostly if we were looking to change our farm system in some way or wanting to analyse particular parts like our feed costs or animal health costs for example – and we’d compare that to benchmarks,” says Eileen. The Walkers, who are regular DairyNZ discussion group attendees, also find DairyBase provides reassurance in tougher seasons. “It is great to be able to really talk numbers. We have always been profit focussed, not production, so the DairyBase reports are really helpful in standardising things. Eileen encourages others to join DairyBase.